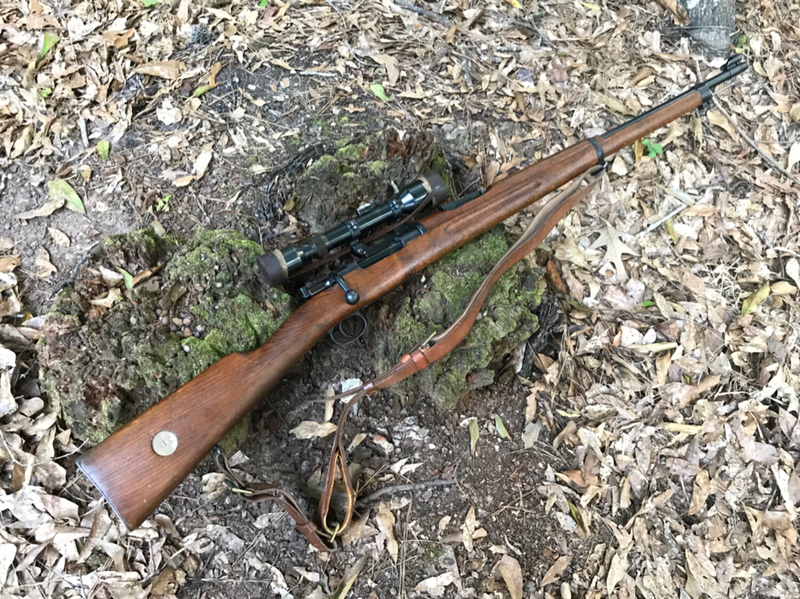 I went out on a limb this weekend and bid on a Swedish M41B at an online estate auction. The auction pics were few and not that great and the description very spare, but I bid accordingly. Description advised that it is a "Mauser Carl Gustafs 1899 Sniper Rifle". I'll post better pics and description when I get it, but anyone have any thoughts based on the auction pictures? Very nice. Looks like an arsenal replacement stock (are there any markings? ), and that is a plus IMO. Scope mount matches the base, and that is good. Many of theses rifles will not have other matching parts, so if other parts don't match I wouldn't sweat it. Scope looks like it has a fair amount of wear, but should be a great shooter if the optics are clear. You can remove the front and rear optic housing on this scope if you need to clean the front or rear glass, but I wouldn't go any further than that. Your scope is missing the rubber cover over the focus ring, but you can cut a piece of bike inner tube to make one, or there is a guy over on the Gunboards forum that will sell you one from Sweden (I suspect he is just cutting bike inner tubes ). Same guy (Fson) can sell you a sling, but they are not cheap. I got one from him and it was in great shape, but expensive. Getting windage right on these is a pain, but once you get it set, it holds well. Be careful not to put too much force on the windage screws as they are fragile and can break. What type of rear sight is on it? Correct would be SM Vastras micrometer, but these occasionally got removed. I think you got a great sniper depending on how much you paid. These tend to be extremely accurate with handloads. Thanks, Ernest. I won this over the weekend so I don't have it in hand yet. Thanks for the tips on the scope. Everybody who owns one likes the M96, and these are the best of the lot with a siderail scope. You'll like this one. Yes, they are accurate with the right handloads. Mine is also dead nuts accurate with 50-yr-old surplus and el cheapo Prvi, and everything else I've found. dmg4, that is a very nice looking M41B. Looks new! I reblued the metal, refinished stock, and overhauled the optics to get it back to as-issued. I'd be drawn and quartered by some as a heretic for doing so, but I own the rifle. Doug Turnbull is just up the road from me, and when he does the same thing, someone writes an article about his having worked a miracle. That is a fine looking rifle, dmg4. How does it shoot? In my hands, with decaf, I can shoot just under MOA with just about any ammo. I can't do much better than that with any rifle, so lets say that the M41B does not detract from the best of my abilities. I think a better bench shooter would be required to determine it's full potential. 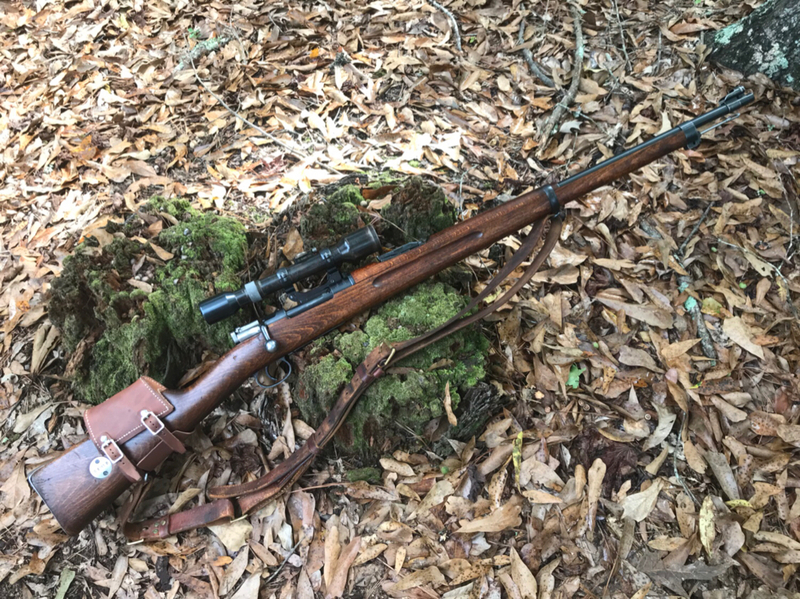 But really, it doesn't get much better than that for a 100 year old rifle with a 70 year old scope and 64 year old eyes. Hope mine shoots that well. The M41B arrived at my FFL today. I got a chance to grab a few pictures before it went into the safe for the 10 day "cooling off" period. Bolt is blued and matching (body). The bolt sleeve, cocking piece and safety match each other, but not the bolt body. Stock apprear to be beech replacement (common for these rifles, I'm told) and has a single crown cartouche behind the trigger guard. Anyone see anything out of place? Calfed, my bro said his load was 43-44 grains of H4350 under a 129-grn Hornady spire point. Said he shot the OCW method @ 200-yds to set the final charge, then played w/ seating depth (as he OCW method advises anyway). Thanks, Dale. I've got several bottles of H4350 and various 6.5 bullets. Nice! It’s definitely nice to have a ‘beater’ sniper that you can take to the range without too much concern while keeper others safe in the safe! Especially when they shoot better than we can really take advantage of.